In the days of warmer NYC weather, I was wandering around the East Village with my friend Laura and her hubby Steve. We were food-hopping, having stopped by an izakaya on St. Mark’s and for some pierogi and latkes at Veselka. 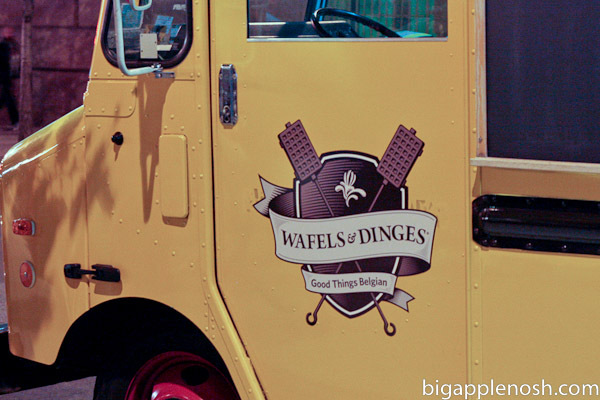 On the way back to the subway, we passed by the Wafels & Dinges truck, so OF COURSE we had to stop! Wouldn’t you also stop for this shiny yellow truck? Glub glub. I want to eat that. Aaaanyway, I finally get my hot little hands on my throwdown wafel and it. is. awesome! 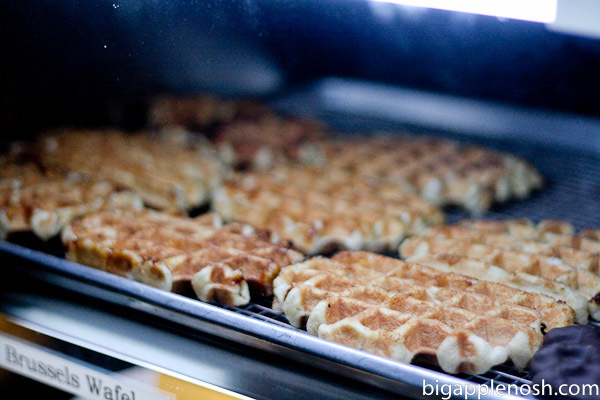 The wafel is hot, chewy on the inside, crispy on the outside and not-too-sweet. The whipped cream is a light and easy complement to the rich, creamy spekuloos spread. I almost went back for a second, but I showed restraint (after the Japanese food. And latke. And wafel. Yeah, that’s restraint). 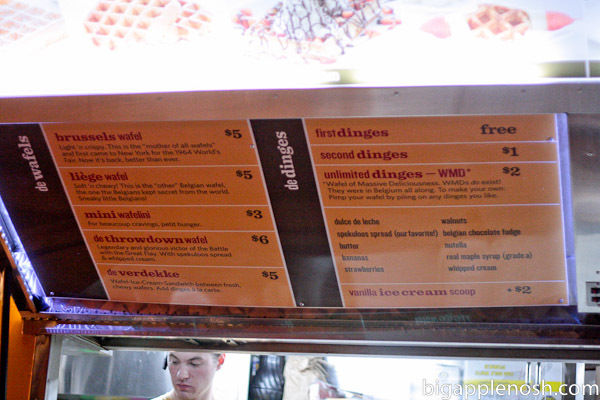 Wafels & Dinges is an indulgent but affordable dessert, with freshly made fare and friendly owners. If you see this sunny yellow truck around your neighborhood, definitely check them out. Follow the truck on Twitter for locations! Okay, my breakfast smoothie has worn off. I need one of these. I am just eating cereals, and wish to have at least one of those..Looks so tempting!!! 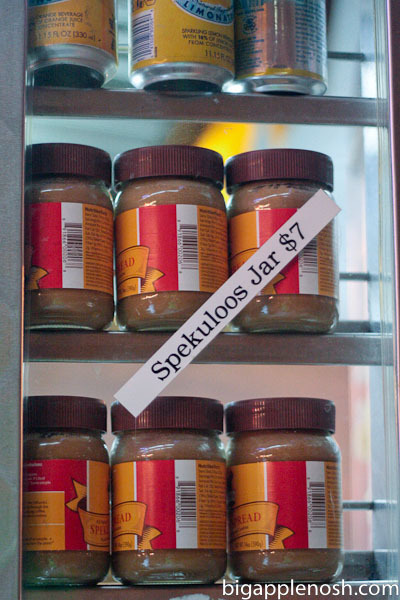 i've never had it with the spekuloos before–i'll have to try that next time i'm lucky enough to come across a truck! omg, just when I thought waffles couldn't get any better! Forget this banana I'm eating, I need a waffle and some spekuloos. I might need to fly to NYC just to eat those right now!!! So hungry! Those look absolutely amazing. I need to make it to NYC just to eat. I remember watching that episode of Bobby Flay, looks delish. Oh my goodness…where was this truck when we were in NYC last weekend! I doubt they would be near Times Square though…too busy?! Yum!! I have one word: YUM! I want one! Oh my gosh, I shouldn't have looked at this post while was hungry 🙂 Yum! 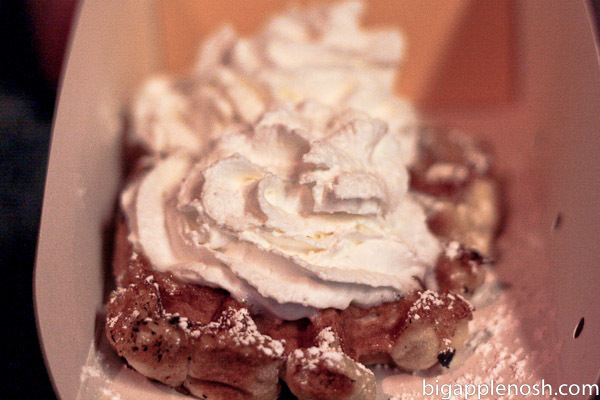 Waffles + cream = yum! 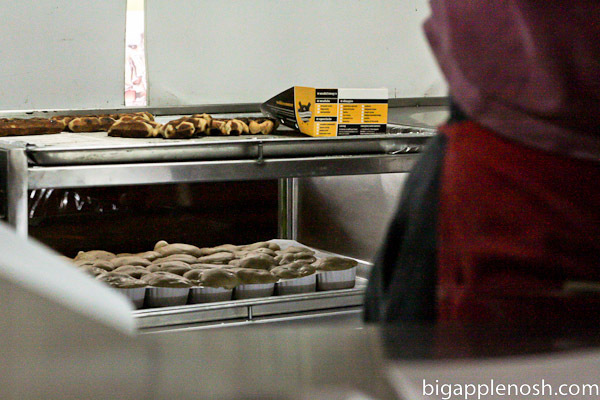 Breakfast is my favorite meal – the idea of having a waffle at any time of day? Sign.me.up. they look great. want to try them.